Making our list as one of the best baby laundry detergents, Dreft detergent has been around for what seems like forever. And based on its packaging and marketing, you are led to believe that it is absolutely the best laundry detergent you could use on your baby's clothes. But is that true? Let's take a look at Dreft detergent and see if it truly lives up to its claims. The company states that Dreft is "specially formulated to be gentle on babies skin and tough on stains." Having been around for more than 70 years, Proctor & Gamble claims the detergent works particularly well on formula, juice, baby food, and spit-up. Dreft states that its formula rinses thoroughly and leaves virtually no residue on the baby's clothes. While most of the ingredients in Dreft are standard for laundry detergents, there are four chemicals found in Dreft that may be of concern. Propylene Glycol is used in literally thousands of everyday items. However, there has been significant debate over whether or not this ingredient is actually safe. Propylene Glycol is suspected of causing immunotoxicity, respiratory toxicity, and skin or sense organ toxicity. You can learn more about propylene glycol here. Ethyl Alcohol is better known as ethanol and often associated with biofuels and the environment. This ingredient is suspected of causing cancer, developmental toxicity, gastrointestinal and liver toxicity, neurotoxicity and skin or sense organ toxicity. As is true with propylene glycol, ethyl alcohol is used in thousands of everyday products from nail polish to cosmetics. Sodium Hydroxide is better known as "lye," and a common ingredient in soap, sodium hydroxide is suspected of causing respiratory and skin or sense organ toxicity. This particular ingredient is widely used and is found in almost all laundry detergents. Calcium Formate is another ingredient which may be problematic, primarily because full testing has not yet been done on the chemical, however, it is commonly used as a food additive. Pros: Parents overwhelmingly love the scent of Dreft, which is described as being light but not overpowering. 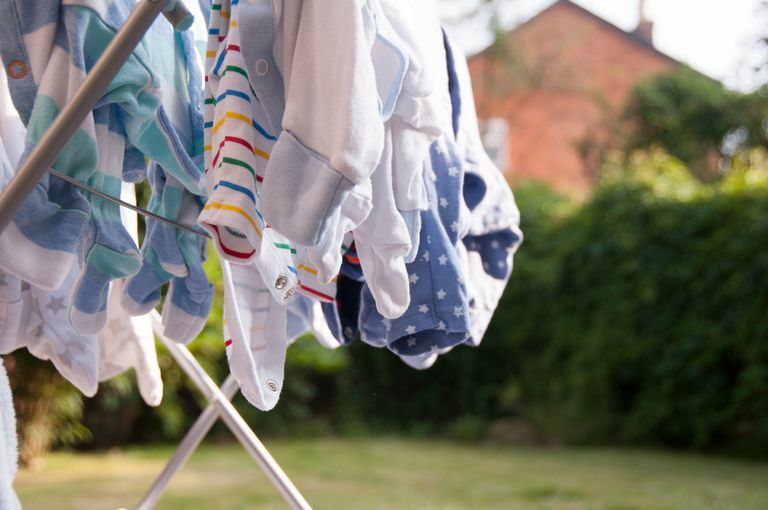 Also receiving high marks are the wide availability of the detergent as well as the ease of use for all family laundry — thanks to the light scent that doesn't smell like babies. Cons: There seem to be three major complaints among parents when it comes to Dreft: price (it's significantly more expensive than competitor brands in almost all markets), its inability to remove some stains, and the fact that it's still scented. Many parents indicate that, in order to really get stains out, a pre-treater and the hot water setting on the washer must be used. And for parents with babies who suffer from eczema or other skin sensitivities, scented laundry detergent is a big no-no. Another concern that continues to creep up is that Procter & Gamble does not adequately disclose the ingredients of Dreft. Dreft is a well-known baby laundry detergent that could easily be used for an entire family's laundry. Its price point is not the least nor the most expensive, but if you're looking for a laundry detergent that will do a great job removing stains, there are many other "free and clear" options, as well as organic and chemical-free detergents to clean your baby's clothes.